A career left solely to chance is an unwise gamble. Without the implementation of a clear and workable career strategy, there is a real risk of missing any opportunities that come your way, or even stagnating at a particular point you were hoping to move on from more quickly. During the early years of a career, you quickly climb the ranks by being the sharpest, brightest and most capable team player. You make sure you are the one who answers emails the quickest, the one who always volunteers for overtime and regularly comes up with ideas which far outshine those of your peers. 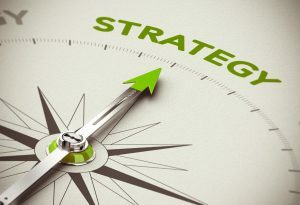 But as your career progresses and the top of your game is in reach, the importance of a defined career strategy remains. Undertaking large projects which deliver time or cost savings – or other financial gain – carry more weight at senior manager or director level. With plans come goals, with goals come motivation – and with motivation comes results. Your career strategy will change and evolve over time, and will need constant review and consideration. In a world where there aren’t enough hours in a day and work is constantly piling up, months roll by unnoticed. But force yourself to regularly set time aside to assess where you are and where you’re going. Work out specifically what you want to achieve in your career and by what date. Also consider whether there are gaps in your knowledge, in any technical practices or legal requirements for instance. Even as a senior manager or director, some new business concepts or procedures can require the acquisition of new skills and understanding. If so, consider what degrees or accreditations you may need to pursue, and what path you’ll need to take in order to get there. Study can require a large investment of your time and if a Masters or PHD is required for a position you want in three years’ time, you would really need to start applying now. A recent study has shown that hiring an external candidate into a company means they’re paid 18-20% more than internal workers who are promoted upwards. Although unfair, it does point to the idea that professionals are often taken for granted inside their own companies. Whilst that doesn’t mean you constantly need to move around between organisations, if you do stay at the same company, it’s important to cultivate a strong external reputation. Get networking and get yourself noticed. Not only will you potentially open doors for yourself further down the line, you’ll also reduce the risk of blending into the background. You’ll remind your boss and colleagues that your abilities are appreciated – and sought after.